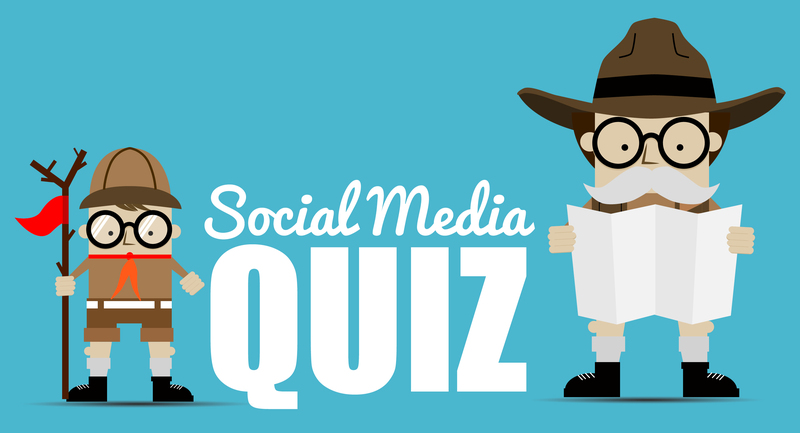 Our social media quiz will sort out the type of social media adventurer you are - and whether you're an experienced, a restless or a novice explorer. With social media you can generate online exposure for your brand, listen to what people are saying, including your customers, prospects, peers and competitors, contact your prospective customers with personal touch and build relationships with potential customers. What are the main benefits of using social media as a marketing tool? What exactly does a hashtag do? Groups messages containing a certain keyword. Sends a private message directly to another user. Allows you to tag another user in your reply. Reputation of a social entity is an opinion about that entity and the opinión of your followers will be expressed through their response to your post. They may like, comment, share or click on it. The quantity, the quality and the frequency of these actions will help you to measure the reputation of your brand. If you want to build your reputation and trust on Facebook. Which rates will be the measure to consider? What percentage of people actually see your posts on Facebook? Pages organically reach about 16% of their fans on average. To easily post or share to all your social networks and posts automatically at times you choose. To short all your URLs across all your social networks. To track your visits and visitors on your website to tell if your social media presence is actually making a difference. Buffer is a software application designed to manage social networks, by providing the means for a user to schedule posts to Twitter, Facebook and Linkedin. The application was designed by a group of European expats in San Francisco. A subscriber is a user who “subscribed” to see public updates from another Facebook user’s personal Facebook profile. A fan is a user who pressed the “Like” button on a Facebook business Page, thus opting in to see all of the brand’s profile updates. Not all users have a “Subscribe” button on their profile, but all business Facebook Pages have a “Like” button. What’s the difference between a subscriber and a fan on Facebook? What is the percentage of Facebook users accessing the social network on mobile device? Based on company data, more than 80% of its active users were accessing the site from mobile devices like phones and tablets in 2014. Social Media is about relations, conversations and, frequently, entertainment. Relevant promotions, meaningful events and interesting contests will boost awareness and engagement for consumer brands. Which of these practices work best on social media? Which of the following social networks is not independent of the others? It may be time to take a sneak peak outside your shell and shape up on social media. You need to learn the basics before you use social media to market your products and services. You’re going to love how easy it is to get started. You might just be getting started as a company in actively using social channels like Twitter and Facebook to engage with your customers and industry influencers. It's time to take a step forward. There are many opportunities to expand your efforts and get more value from social media. Congrats! You are a social media Master. Moving beyond the fundamentals, you've done us proud. Continue your good work. Courses, advices from the experts and experience will help you to keep on track! Are you willing to leverage the power of social media marketing to increase your business performance?